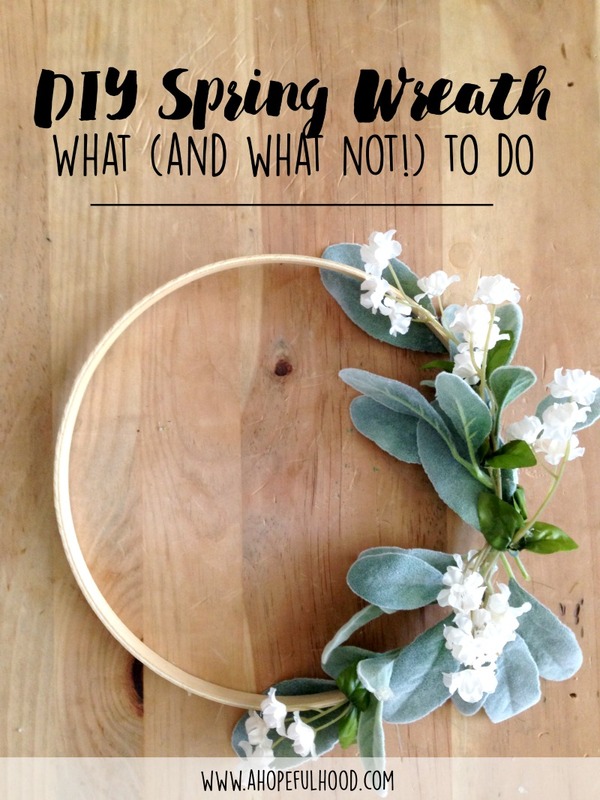 Have you seen all the spring wreath tutorials floating around Pinterest? Everyone seems to be able to whip up these professional-grade flowery wreaths with no trouble (or at least I'm assuming no trouble? Based on their confident how-to's)...so if you're a pro crafter and can knit a sweater in under 5 minutes, this is too basic for you. 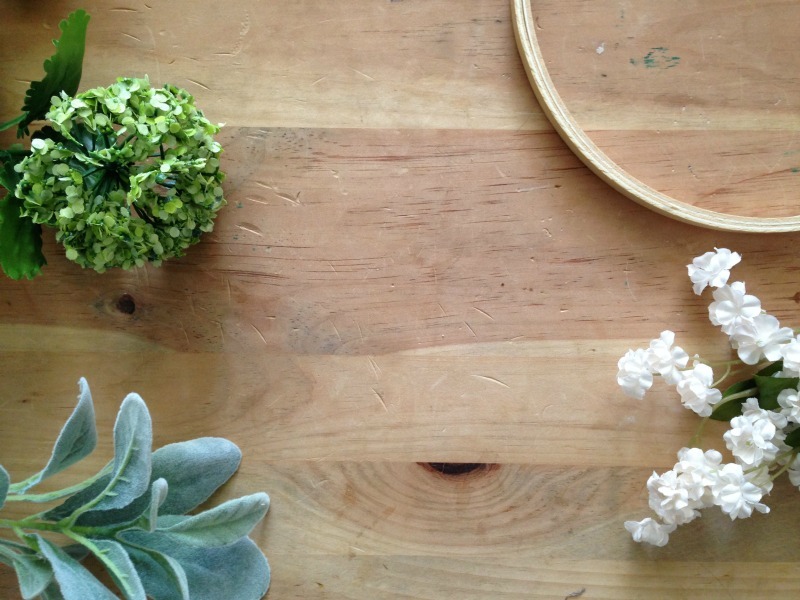 THIS tutorial is for all us average DIYers who do things trial-and-oh-well-that's-good-enough. an embroidery hoop. 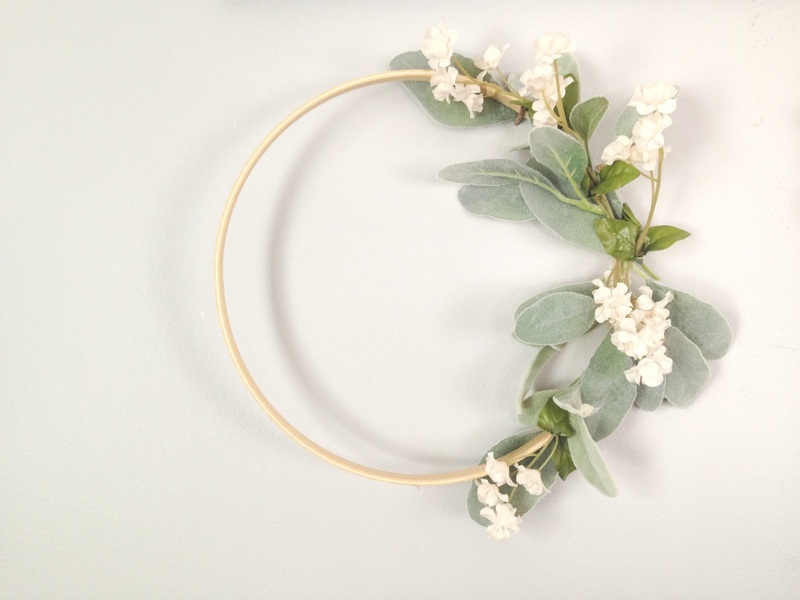 This is perfect for doing a wreath with a friend, because the packs come with 2 wooden circles. I know nothing of embroidery but it seems standard that there are always 2 loops. a FEW stems of fake flowers. I way over-bought, especially considering my hoop is probably only 10" in diameter. A few bunches of flowers/greens goes a long, long way. more hot glue than you'd think necessary (+1 gun). I think I used 3 whole mini glue gun sticks on my tiny wreath. 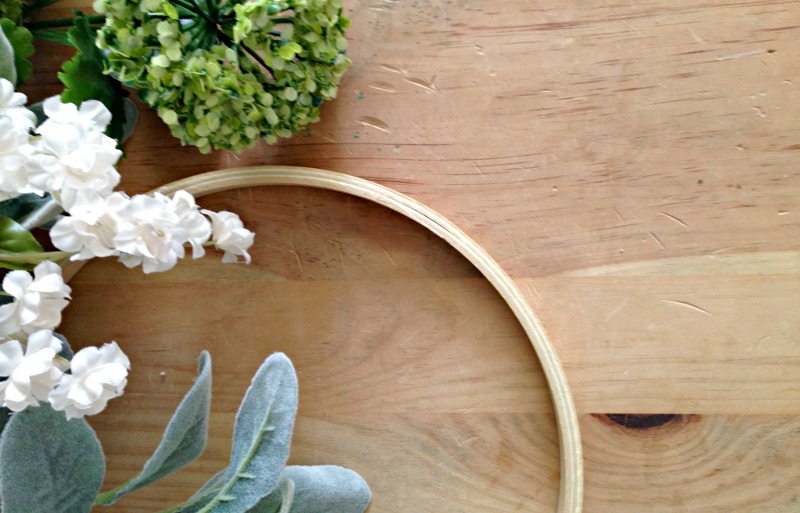 Pull off a few flowers & leaves and start to lay them out on the wooden hoop. DO NOT CUT THE GREENS/FLOWERS SO SHORT YOU HAVE NOTHING TO GLUE DOWN. Once you've got the general idea of how you want things to look, glue down your background things (I used fuzzy mint leaves). DO NOT UNDERESTIMATE HOW MUCH GLUE IT'LL TAKE TO GLUE SOMETHING TO A THIN EMBROIDERY HOOP. Since there's not a lot of surface area to work with on the wooden circle, try to glue the background things down to the inside and outside edge of the hoop, where there's a BIT more surface area. Cover the extra-securely-attached background greenery with thin, long-stemmed flowers. Try wrapping the stem around the hoop before gluing it down, since it's most likely wire and that will give you some secure leverage before the hot glue.